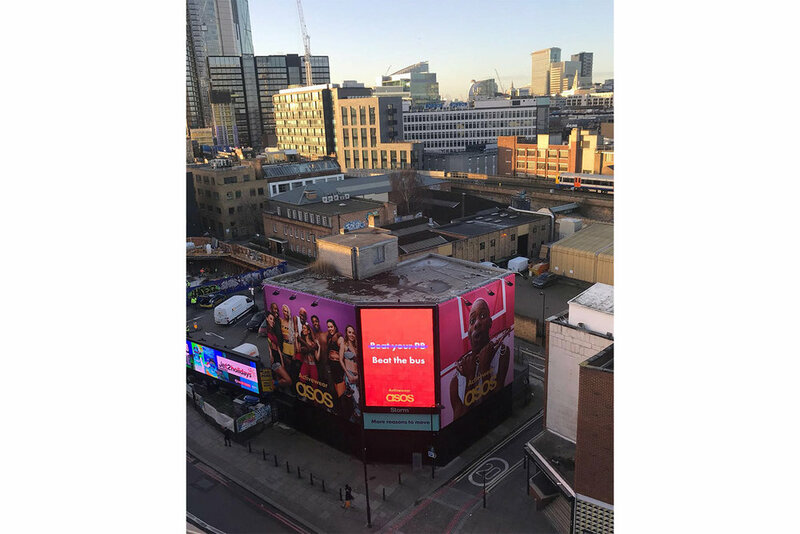 National campaign, encompassing a hero film, OOH, DOOH and social. 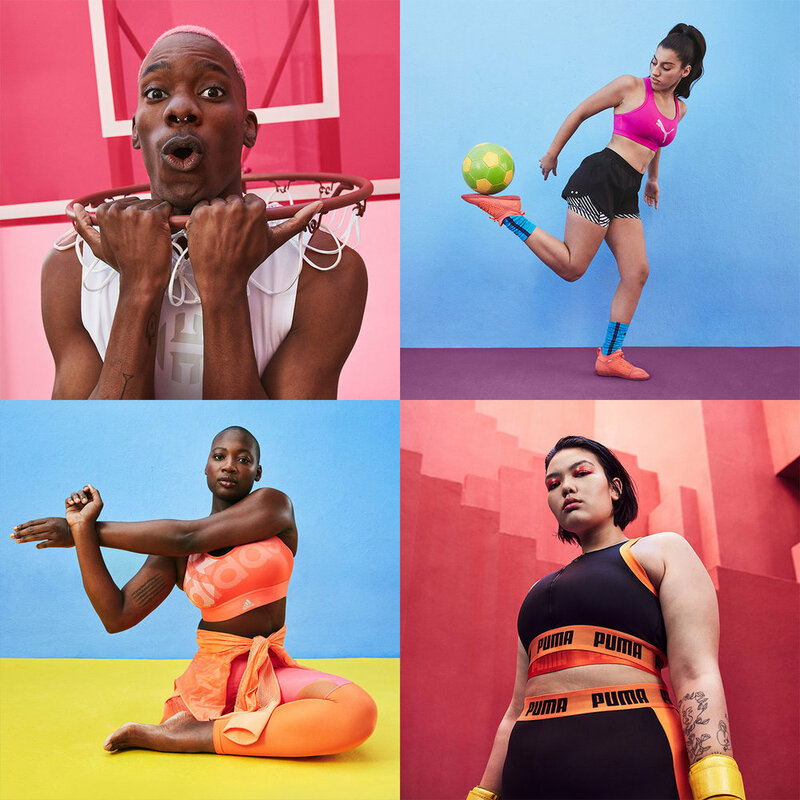 ASOS needed an activewear campaign that stood out from the competition. They didn’t want to go toe to toe with major sports brands and retailers by focusing on performance. They wanted something that was true to their key audience: 20somethings, who are the most active generation alive today, but see exercise as more of a social and cultural activity. Everyone has their own reason to move – and it was this insight that formed the foundations of the campaign. Working with a cast of influencers with a unique story to tell, the focus was shifted from exercise to the unexpected benefit this workout provided. Strikethrough messaging was used as a bold vehicle to make consumers rethink typical types of exercise – and focus on the the silver lining instead. 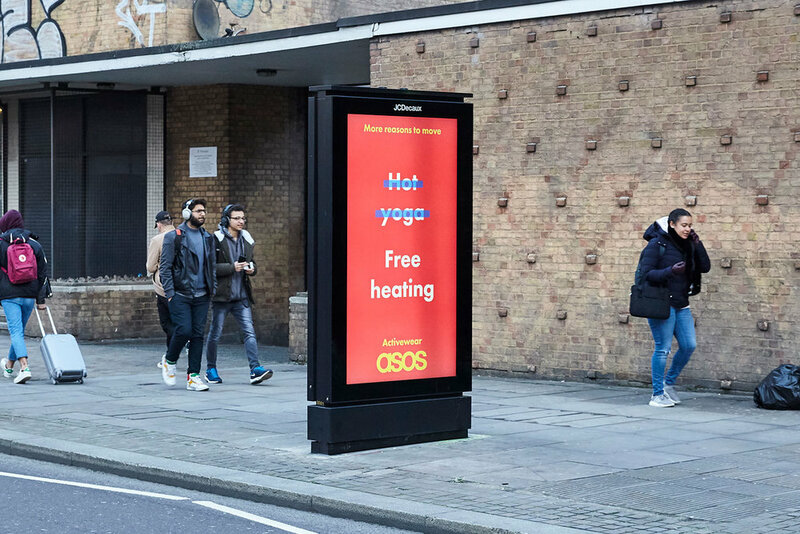 To help consumers truly connect with the campaign theme, OOH and DOOH messaging used contextual reasons based on activities popular in the area, time of day (i.e. rush hour) and even weather conditions. 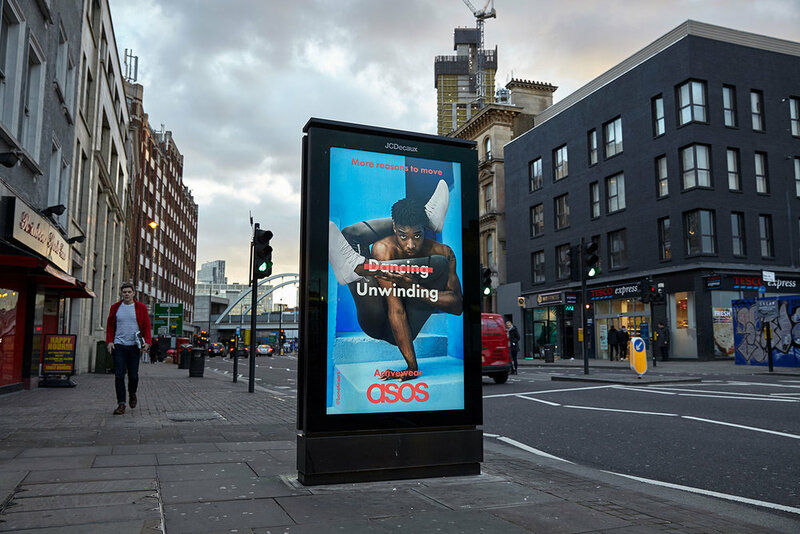 To help make the content as engaging as possible for consumers, playful animated typography and motion graphics were used across a range of DOOH formats, showcased across London and Manchester.